Motorcyclists in Indiana rode last Saturday to raise money for children who are struggling with autism. The ride was sponsored by the Cornerstone Autism Foundation, an organization that helps children who are living with autism. The foundation will use the funds raised to purchase iPads for autistic kids. Some families have already discovered the vast benefits iPads can have on autistic children. Some children with the disorder are nonverbal, making it difficult for parents and other caregivers to communicate with them. Using an iPad, they may be able to better communicate with their parents. Autism is a serious disability that can potentially prevent a person from working. If you or someone you know has autism and cannot work, they may be eligible for SSDI benefits. 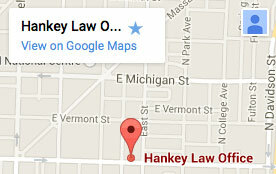 Contact the long-term disability attorneys of the Hankey Law Office, at (800) 520-3633 to learn more.